The incredible unique Poppi becomes a part of your team is one of the most versatile Blades in the game. We've got the breakdown on just how best to utilize it. At a certain point, as you progress through Xenoblade Chonicle 2's main quest, you'll gain access to the artificial Blade Poppi. We've got a guide to help you find the artificial Blade parts to get it working but, once Poppi is on your team, you'll want to know how to best utilize this crucial teammate. 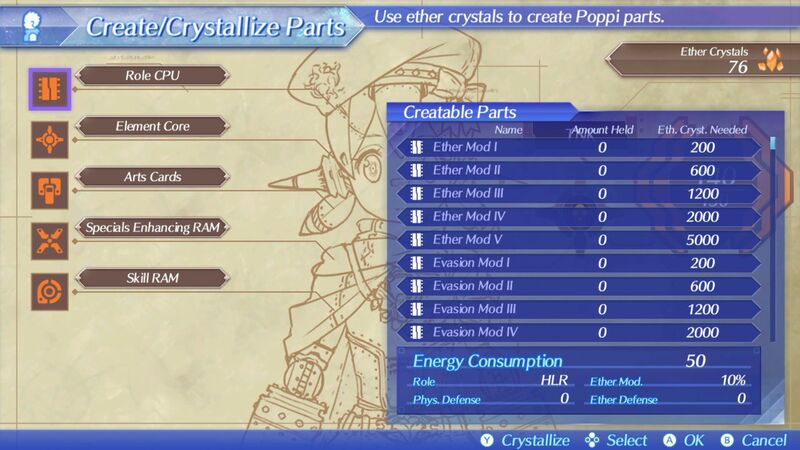 Ether crystals can be used in few different ways for Poppi. They can be consumed to raise max capacity of energy converter. Energy is consumed by the other parts you equip, so more powerful parts will demand more energy. Ether crystals can be used to unlock slots for Special Enhancing RAM and Skill Upgrades. Lastly, they are used when creating/crystallizing Role CPU, Element Core, Arts Card, Specials Enhancing RAM, and Skill RAM parts. Keep in mind that Poppi is the only Blade in the game that can change its element for combat purposes. Inflicting additional damage to enemies and sealing off enemy abilities are dependent on element awareness, so you'll want to switch up Poppi's element core if you run into some tough enemies in your travels. Getting Poppi's parts aren't as simple as running to a town market, though. How To Play Tiger! Tiger! Poppi has a unique way to advance in Xenoblade Chronicles 2. There’s an advanced gaming device in Tora’s home called Tiger! Tiger! and it was made for Tora by his grampypon. 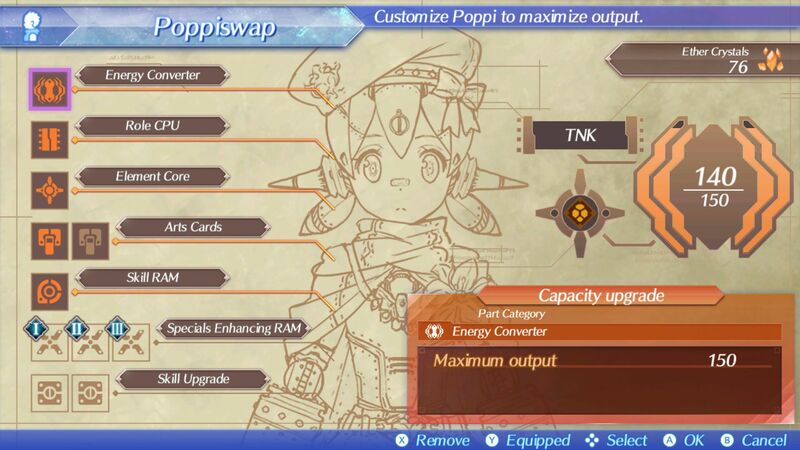 Instead of equipping AUX Cores like in other Blade, Poppi uses Poppiswap to exchange parts earned while playing Tiger! Tiger! As you dive down, collect as many gems and treasure boxes as possible. At the bottom, you’ll want to clear out the creatures and grab the huge chest. Once you do, you’ll head back up to the surface. You’ll resurface faster than you dove down, so you’ll have to be careful about the creatures you may run into. If you take them out while diving, they’ll be gone when you come back up so the best practice is to remove as many as you can on your way down. Nothing you collect will be earned until you finish the level by rising to the top. 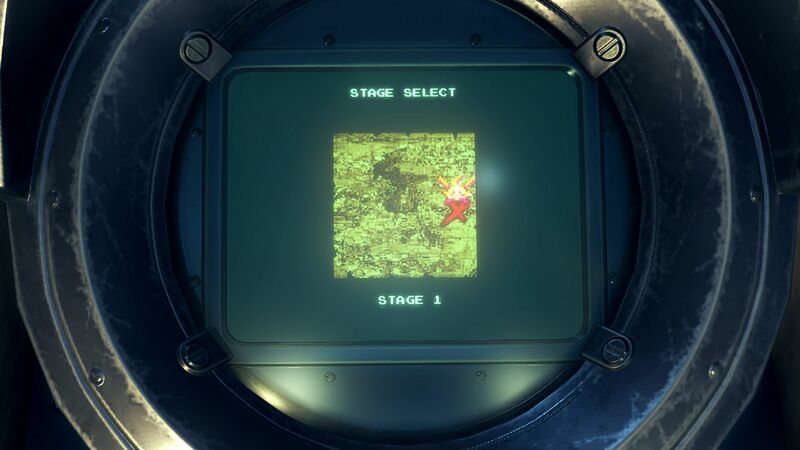 Additional levels will be unlocked as your progress through the main story. "Move with direction buttons, attack with A, collect shinies and treasure!" "Mehmeh! Friend must attack jellyfish from above, turtles from the bottom!" "Mehmeh! There is power up item that will let friend attack on the diagonal!" For additional tips and guides to help you out in the massive world of Alrest, check out our Xenoblade Chronicles 2 Walkthrough and Guide Hub.